This is another standout recipe from Ella Woodward’s cookbook, Deliciously Ella, which we are currently featuring in our book club! Like many of Ella’s recipes, this dish is very easy to make, and does not require a lot of ingredients. 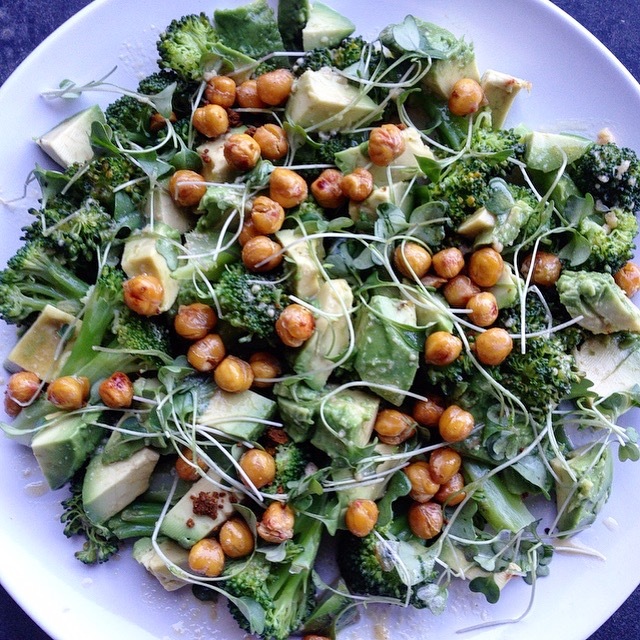 The base of this dish is just avocado and steamed broccoli; I’ve added other ingredients such as roasted chickpeas, sprouts and radishes. What really makes this meal delicious though is the dressing! It is a pleasing mixture of sweet and salty tastes, and is also very easy to make. Add in any other ingredients that you wish, I really loved the addition of roasted chickpeas! 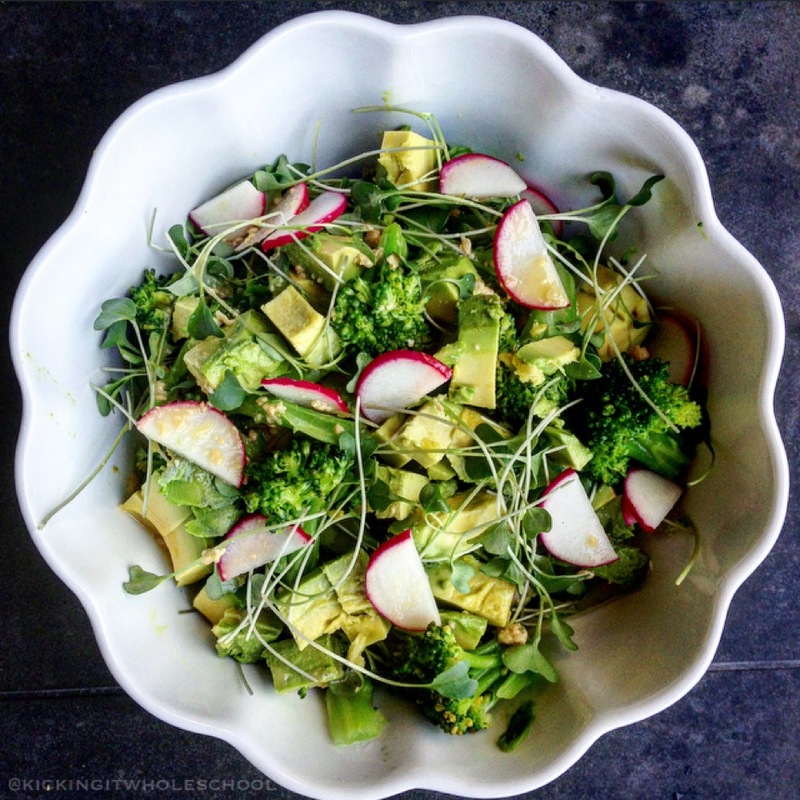 Avocado and broccoli salad looks really yummy. I love chickpeas also. I can make this when I see you in August! I’m glad that you have ‘featured’ this recipe as I was tossing up whether to make it recently. In your opinion, you reckon I should give it a try? Any others from her book you would recommend? I’ve been loving her easy quinoa dinner from her book (has the quinoa swirl picture on the opposite page).